There seems to be a new method of recording extreme metal albums that is coming into vogue as the modern home studio techniques provide very digital clean sounds and any attempt at adding power relies on extensive knowledge of mixing and mastering and cannot be conveyed through the playing abilities of the music. The guitars and vocals are heavily processed and have a strong digital tone and do betray the band. The drums are recorded acoustically but with some light touches as every hit is far too consistent but the low end of the double bass is very well conserved sounding full and dominant in the mix but eating a lot of the bass sound. Though this is a better alternative to the expensive studio sound that has dominated metal recently it still leaves a lot to desire as there is still to much emphasis on achieving a clear and powerful recording but at the expense of the musicianship and the particularities of the musicians. Inverloch excel during the Incantation-esque passages that separates them from the horde of Incanta-clone bands through an actual understanding of dynamic and tension and the songs progress very fluidly throughout these riff mazes. Rapidly modulating tremolo picked melodies that seek to lead the composition further underground converge towards a funeral doom conclusion. These conclusions are created through slow syncopated power chord attacks over simple arpeggios as they glide through simple minor scale progressions. These parts tend to be overly static and last too long as they swallow all the momentum that has been generated and end up like the Euro-doom bands, wallowing in their own self pity leaving the listener bored or aching for some of the better moments of this album. The slower doom riffs when played in unison by both guitarists and when they lead the song really do capture Disembowelment’s magic as the riffs utilize the slower tempos to expand without forcing themselves to stay within the safety of the lower notes available on the guitar. The album is short when compared to other releases in this style, clocking in at just under forty minutes but contains far too much filler and should have been released as a twenty-minute EP to reflect the actual potency of the ideas being presented here. “From the Eventide Pool” is just a continuation of the slow passage on the first track and it communicates nothing that hasn’t been done by the title track and is the prime example of filler in a death/doom context. The central piece of the album “The Empyrean Torment” fluctuates brilliantly through these multiple passages and shows a genuine understanding of how a Death Metal song functions. The composition slowly leads up to a poignant fast pace climax before settling down for the ominous conclusion that truly conveys fear, destruction and despair. “Cataclysm of Luna” is fixated on the simple My Dying Bride twin lead guitar trope and fails to do nothing but reiterate that same melody without any variation as some sort of extended outro for the previous track. 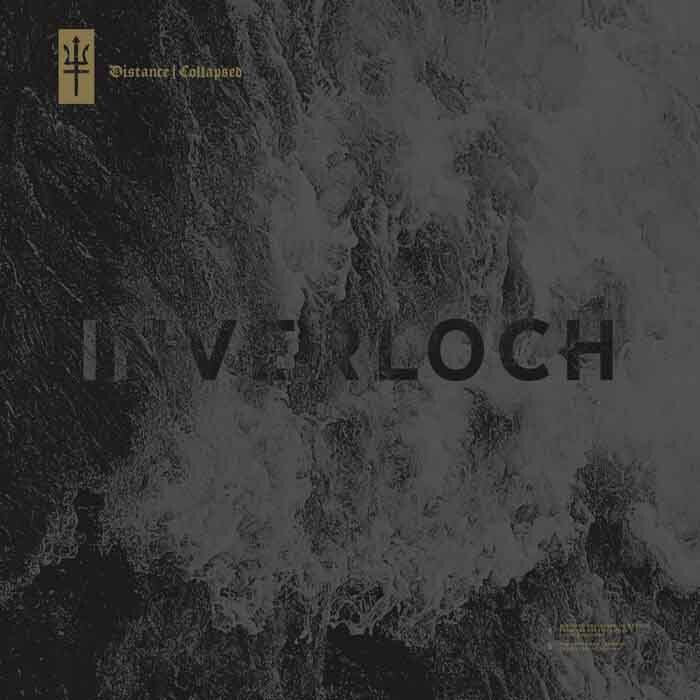 Inverloch are capable of producing truly good music as seen on the title track and “The Empyrean Torment” that can consider itself a worthy successor to Transcendence into the Peripheral but often times becomes far too attached to the idea of producing stagnant ambient music. Hopefully the band can learn to identify the filler and eliminate most of the fluff to focus more on the excellent Death metal aspects and the well-structured arrangements of the better songs. In the meantime, this remains an enjoyable listen for a spin or two as nothing here hasn’t been done better by other bands. With some introspection and the will to move on from their past legacy, Inverloch may produce some excellent in the near future and here at Death Metal Underground we shall follow this band and hope that our expectations are met. I quite enjoyed it, this particular style has a tendency to stray further and further away from it’s Metal roots and into Dark Ambient territory, this album however stays clear of doing that just enough. Sanjaya said: Sri Krsna then addressed the following words to Arjuna, who was overwhelmed with pity, whose eyes were filled with tears and agitated, and who was full of sorrow. Sri Baghavan said: Arjuna, how has this infatuation overtaken you at this odd hour? It is shunned by noble souls; neither will it bring heaven, nor fame to you. Yield not to unmanliness, Arjuna; this does not become you. Shaking off this base faint-heartedness stand up, O scorcher of enemies. Good review. I think you’re right: “From The Eventide Pool” and “Cataclysm Of Lacuna” are derivative filler tracks, inspired by inferior bands who make awful, weepy ‘doom’ rock. What about the third track, “Lucid Delirium”? I’d say that it’s not as strong as the title track or “The Empyrean Torment”, but nevertheless it’s reminiscent of Disembowelment’s style and standards of song-writing. You are “Lucid Delirium is a good track but I think due to its overt Disembowlment worship, it just makes you want to listen to the real thing rather than Inverloch.